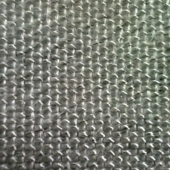 Wire Inserted Fiberglass Cloth | GarCo Manufacturing Co., Inc.
24-oz Stainless Steel Wire Inserted Fiberglass Cloth. 60-in width. This entry was posted on September 1, 2015 by GarCoMfg in Amatex, Fiberglass, Insulation, Textiles, Woven and tagged Amatex, Amatex Broad Cloth, Amatex Narrow Goods, Fiberglass, G24PUU, insulation, Stainless Steel, Textiles, Wire Inserted.